It's Jeanne posting a baby card today that uses dies from the new Mother's Day release! 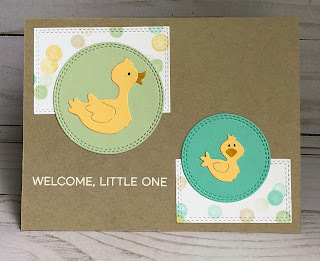 I love ducks and I couldn't resist this little guy with his sweet face. 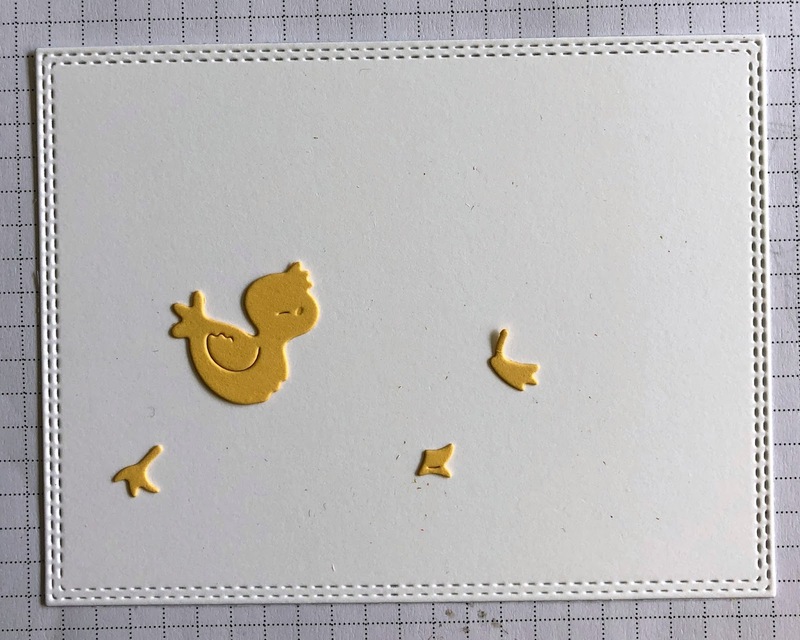 But since Mother's Day has passed I thought a baby card might be in order. 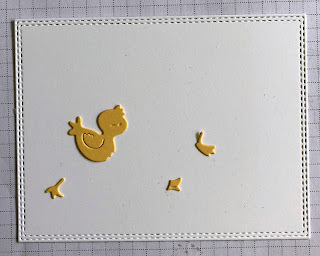 I started with an A2 card base and then cut the rectangles using the second and third smallest rectangles from the Double Stitched Rectangle set. 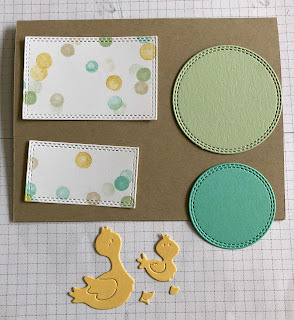 I picked a dot patterned paper since I thought it went well with the circles, but you could use any pattern. 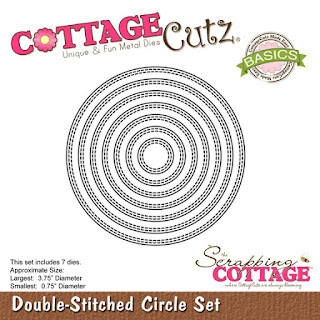 Then I cut the circles using the third and fourth smallest dies from the Double Stitched Circle set in coordinating colors. 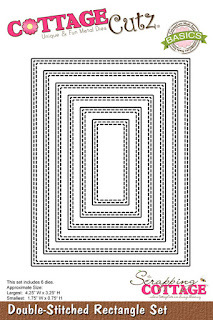 For the inside I used the largest of the Nested Double Stitched Rectangles. 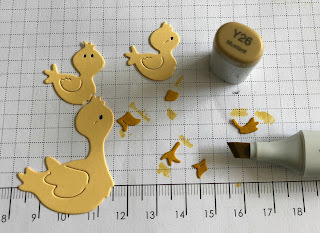 I cut a full set of ducks from So Saffron card stock. Using the Y26 Copic marker, I colored in the duck bills and one set of feet. I wanted my outside ducks to be swimming, so they did not get feet. 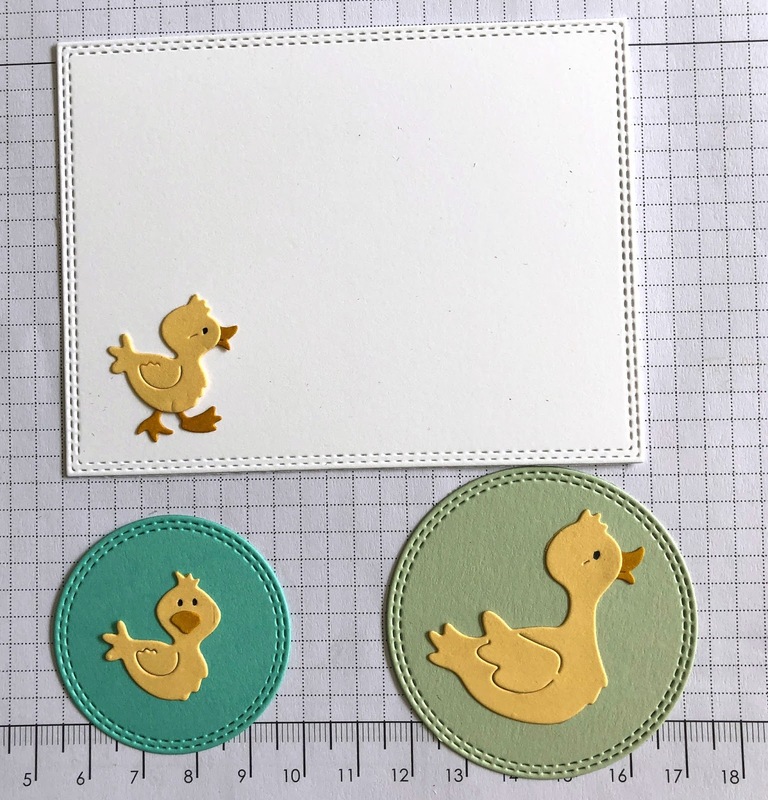 I glued one duckling to the inside panel and the other one and his mama to the circles to form medallions. I glued the rectangles to the outside front about an eighth inch from the sides and top/bottom. Then I heat embossed the outside sentiment in white and stamped the inside sentiment in Coastal Cabana. My last step was to glue it all together. This card was simple to make but is adorable. 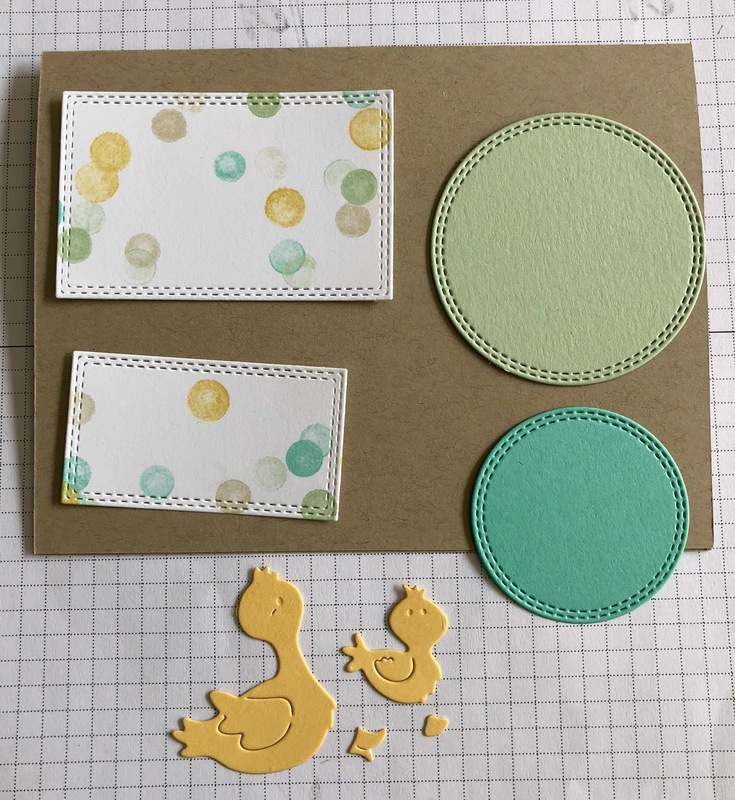 And it is flat which makes for easy mailing! 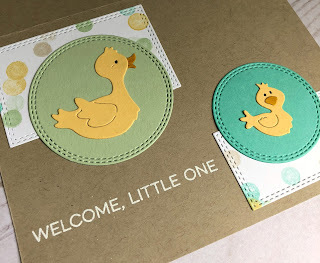 Ducks are gender neutral so this can easily be changed to a feminine card by changing the colors. Thanks for stopping by today. Have a fun and creative weekend! 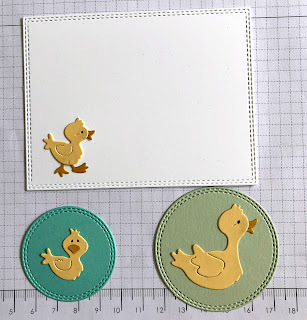 Very sweet cards! 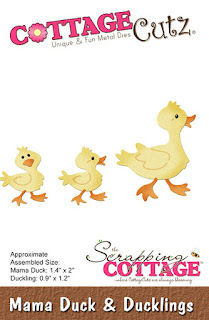 Those ducks are absolutely adorable! 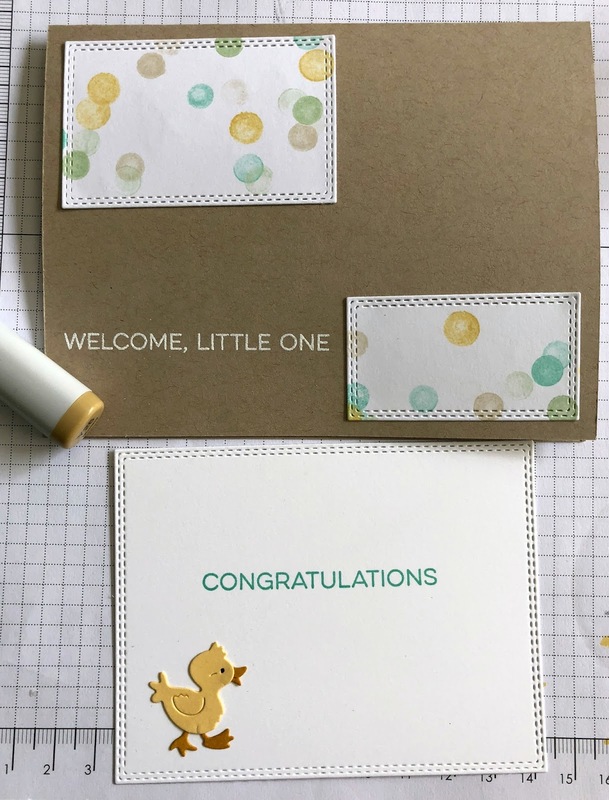 This is so lovely card.